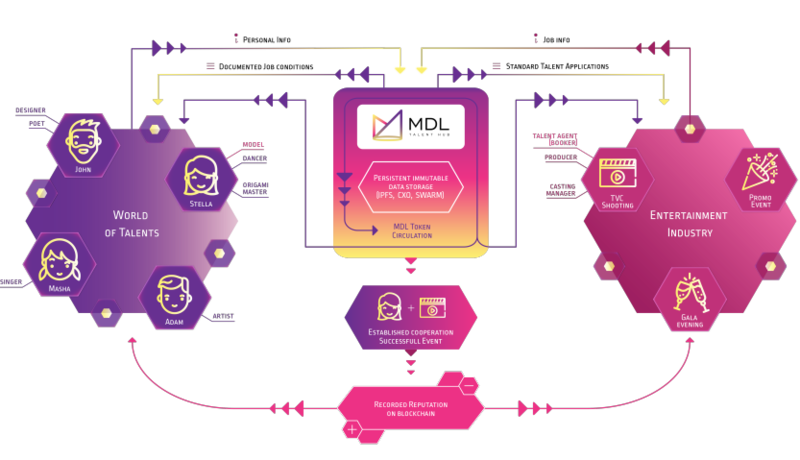 MDL Talent Hub is looking to build a trust chain for $2.3 trillion in the entertainment industry using the Blockchain and PIDS technologies. The platform will enable Prosumer ecosystem marketplace and micro-KOL partnership programs to generate revenue. 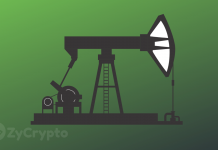 The resource mining would be done via Skyledger. These days, the success of promotional events, TVC shooting, or fashion show Is highly dependent on the talents available. When there is an availability of resources concentrated on pushing a product or promoting an idea, it is necessary to ensure talents involved perform optimally. In some scenarios, talents are often cheated, misused or mistreated. Establishing a mutual understanding with well-behaved professional models, actors and artists, in general, is quite a costly and challenging task. MDL is poised to fix this challenge. In the twenty-first century, modern technologies like the Blockchain technology are revolutionalizing the economy and making some jobs obsolete and leaving workers of such jobs unemployed. It is believed that soon, our ecosystem will experience a momentous shift that will take place when routine physical and even mental human labor are no longer required for advancement. One of the critical features of the MDL project is to create jobs and give meaning to the lives of participants and their lifestyles. We believe it is always lovely when talented people can find a paying audience for their talents. As stated earlier, MDL will utilize the PIDS technology which will allow information storage on a distributed style on miners and users devices making sure that access, speed, and information security is at the highest standard possible. 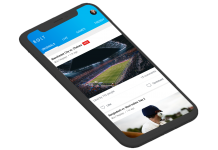 The MDL project will also create a bounty program by which anyone can get a certain number of MDL tokens just for storing information about talents, events, etc. MDL is looking to raise CA $500,000 to prepare for the ITO. 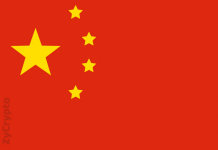 This lump sum will enable the project to launch its ITO campaign in March 2018, where the target amount to be raised is $20 million for further development of development of the MDL platform, cross-border scaling, and general businesses development. It also takes care of R&D, a new implementation of BC and PIDS technologies. To partake in the on-going Pre-ITO, participants must install the waves wallets. During the Pre-ITO in January 2018, MDL will distribute 50% of the total amount, which is 50,000,000 tokens at an average price of $0.01. The Pre-ITO is expected to last for four weeks after which token price will rise by 5x higher during the March ITO period.